"Bone growth plates or physis are present at the end of long bones and are responsible for longitudinal growth. 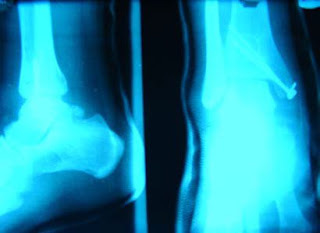 These plates consist of 4 layers and are lucent in radiography as a line perpendicular to the longitudinal axis, Because of cartilage layer x-ray absorption is less than calcified bone. Gradually increases with age and bone maturity these line will be narrower and as longitudinal bone growth stops, the line disappears. This phenomenon occurs at different ages in different bones of the skeleton but with complete maturity at the age of 19, all growth plates are closed and sclerosed. Re-appearing after closing is uncommon. 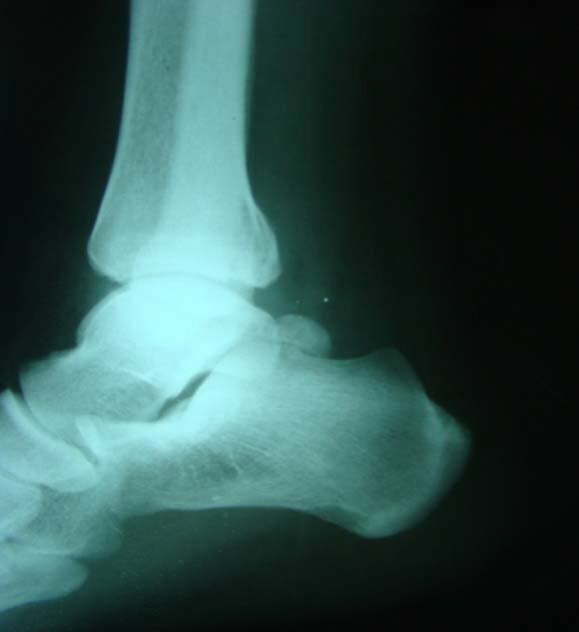 We introduce two young patients in this study due to trauma have been treated for an ankle cast and the growth plates of tibia and fibula in their control X-ray was re-appeared. Subchondrel Bone Resorbtion is a known phenomenon that will occur after 6 to 8 weeks immobility in any bone. The lucent line caused by imbalance in osteoblast and osteoclast activity and bone absorption. 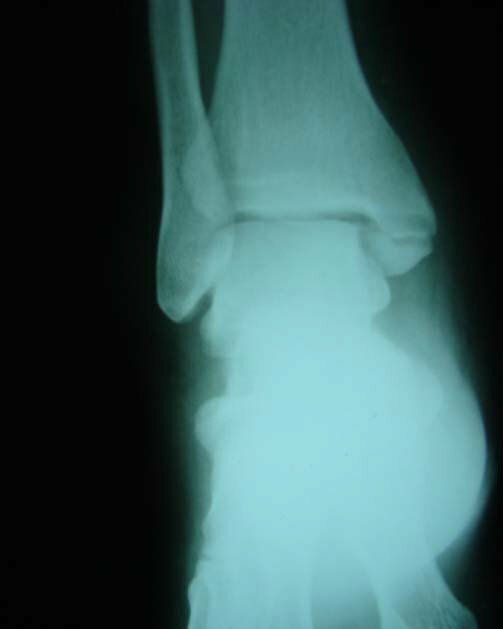 Re-appearing of growth plates can be caused by reversed ossification and bone absorption." 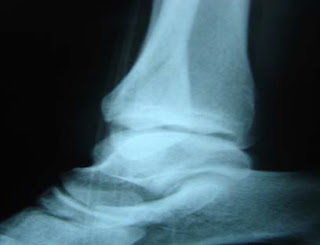 The other links I could find don't seem to have a direct relation to reverse ossification just bone resorption. Please help out if you know Persian or are an expert at translation documents(Google Translate doesn't like multiple columns). 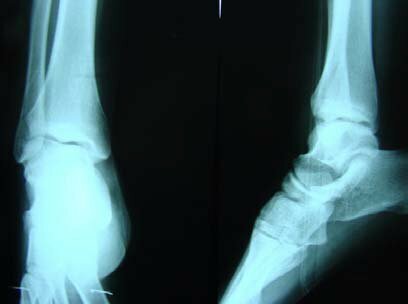 "The resurgence of growth plate can be absorbed by tissue"
"Treatment, the growth plates of the tibia and fibula appeared again." 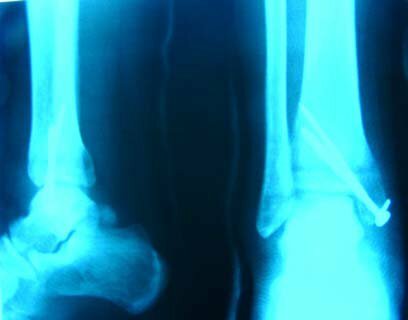 "Patients can reverse the growth plate of the bone at the growth plate cartilage of the past"
So this means the process could be reversed at the right conditions, right? That's incredible. What does it mean for height increase? Very usefull and interesting so traumas can get your growth plates open a little bit,any idea how it need to be? 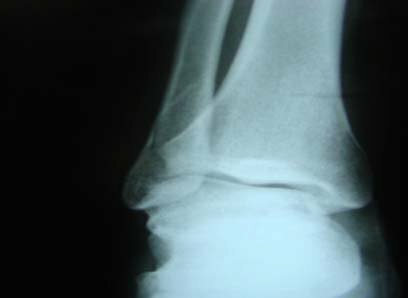 ?if we get open growth plates we can grow taller without any problem and then use an Ai(aromatase inhibitor for stop bone maduration or the closing of this) ..tyler try to put any trauma can be done for us a test to see if we get result. this means that we are one step (translation document) to reach the goal! tyler'm Latino and speak Spanish but will try to find that translation'll let you know when everything is ready for me to pass the document in Persian. Well I'm not sure if we'll reach the goal but useful insights. Maybe I'll have to pay for a manual translation. As the limited amount I've been able to translate using copy+paste into google translate has been unclear(It's hard to translate the two column structure). If you know a Persian translator get a rate quotation from him. Tyler, do you think there is a limit for maximum growth with LSJL? I mean, if I grow, for instance 1/2 inch, can I grow more than that using LSJL? I would like to grow 4-4.5 inches (10-11cm). Is it possible to achieve this using LSJL? And with LSJL we can only lengthen our legs, arms and hands, but how to achieve the longitudinal growth of spine, that is, how to lengthen the torso? Maybe swimming would help achieve this (I have read your text "Growing Taller with Swimming?") and/or hanging? Can a diabetic grow taller using LSJL routine? How can I be sure that the stem cells are differentiating into chondrocytes when I do LSJL? Which of all the supplements that are listed in the text "LSJL Supplement Guide" are the most efficient, that is, synergistic with LSJL? I have sent an email with questions to them, but I have not yet got any response.